can add a new title to his ever growing resume:pugilist. between Sherman and wide receiver Doug Baldwin standing up for their respective sides. 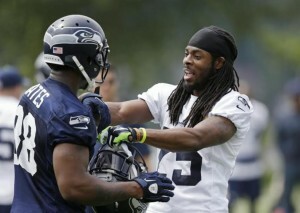 sidelines and Percy Harvin and Sherman trading yucks.